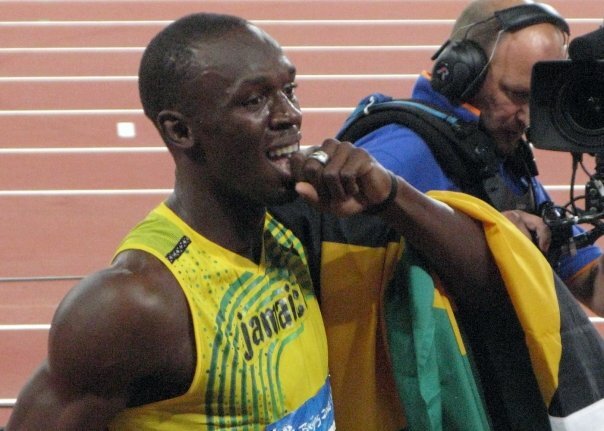 Bolt celebrates after his historic 100m run. you did hear wi national anthem? sound sweet nuh true?